Is the Labrador Retriever Appetite Normal? And I was the addict. I had absolutely no will power to stand there and witness Maya, my beautiful 150 pound Mastiff, so uninterested in eating. Not all eating. Just the eating she was supposed to do out of a bowl. Hindsight suggests that perhaps I should have substituted raw meat for the cheese popcorn, but, hey, raw wasn’t a thing back then. Twice a day, every day, presented a new dilemma; what to add to Maya’s food so she would eat? Countless times I would stand in front of the refrigerator evaluating my options. Yogurt or shredded cheese? Cut up ham slices or left over Papa Johns? Hard boiled eggs or ice cream? While I never knew what would work on any given day, I always knew it would not work two days in a row. My husband would tell me repeatedly that I was enabling Maya. He would brag about how he had the “normal” dog. The one that didn’t need coaxing or cajoling to eat. The 105 pound yellow Labrador retriever, Burton, who would eat whatever you put in front of his nose. And even anything that his nose led him to; Hersey Almond Bars, 5 pounds of Orijen dog food, retainers, John Deere hats. You know, the normal stuff. What Can We Learn From The Labrador Retriever? Fortunately, shortly after hitting rock bottom with that bowl full of uneaten kibble and cheese popcorn, Maya’s fastidiousness improved. I admitted my addiction and joined the Picky Eater Enablers (PEE) support group, a top secret organization veiled by an acronym. With a little tough love, I was able to get her eating like a “normal” dog again. Like other addictions, and despite the PEE therapy, I have found myself numerous times since standing in front of the refrigerator on behalf of my dogs. And I know I am not alone in this struggle. So here is my question simply put. Is it possible to take what we know about Labrador retrievers like Burton, who welcome any and all food with utter euphoria, and use it to help improve common feeding challenges in other big dog breeds? I first set out to see just how real this problem is for both Labrador retriever owners as well as owners of Great Danes and Mastiffs (picking two other big dog breeds at random). Using a Facebook poll on three breed group pages, the results were striking. My question to owners was how does your ____(breed) feel about food? I gave them three options and they could only pick one. 88% of Labrador retriever owners reported that their dog was either a great eater or would not stop eating if given the opportunity. That is compared to 71% and 52% of Mastiffs and Great Danes respectively. When I broke it down and just looked at dogs who were categorized as continuous eaters when given the opportunity, the results were 14% of Mastiffs, 19% of Great Danes and a whopping nearly 70% of Labrador retrievers! The comments from Labrador retriever owners were hysterical! There’s only one way this poll turns out. My girl could clean out a Vegas buffet if I let her. I didn’t even have to read choice 2 or 3, haha! Be it top notch dog food or garbage. My guy is happy as can be if he’s eating. New Labrador Retriever Study Finds Answers! Labrador retriever owners worldwide substantiate my anecdotal experience with Burton and this Facebook poll. More so than any other breed, Labrador retrievers are voracious eaters. And despite owners’ efforts to tightly control their dog’s diet and exercise, Labrador retrievers have the highest rates of obesity of any other dog breed. Could there be a biological reason for this? In a May 2016 study published in Cell Metabolism, researchers identified a gene (POMC) deletion common in Labrador retrievers, yet absent in ALL other breeds of dogs except the closely related flat-coated retriever. While they found that not all of the Labrador retrievers with the genetic mutation were obese (and some were obese without having the mutation), the deletion in general was strongly associated with greater weight and dogs who were more food-motivated, begged more for food, were more attentive at mealtime, and scavenged more often for scraps. They tested 411 Labrador retrievers from the UK and the US, 81 of whom were breeding stock assistance dogs, and found that the POMC deletion occurs in approximately 23% of Labrador retrievers overall. Of 38 other breeds they tested, the deletion only appeared in flat-coated retrievers. Most interestingly to me, this POMC deletion was significantly more common in the 81 assistance Labrador retrievers included in the study, occurring in 76% of these dogs. The results of this study will not come as any surprise to Labrador retriever owners. I know, because I was one for nearly 16 years. They will find both humor and solace that they are not alone; comforted by the biological answers to their dog’s battle against the proverbial bulge. But what about other breeds? Anecdotally, we know other breeds are plagued with picky eaters. And from this research, we know the genetic alteration associated with an increased interest in food is ONLY found in Labrador and flat-coated retrievers and with the highest prevalence in service and assistance dogs. Those two facts beg the question: Is it possible to take what we now know about Labrador retrievers and use it to help improve common feeding challenges in other big dog breeds? 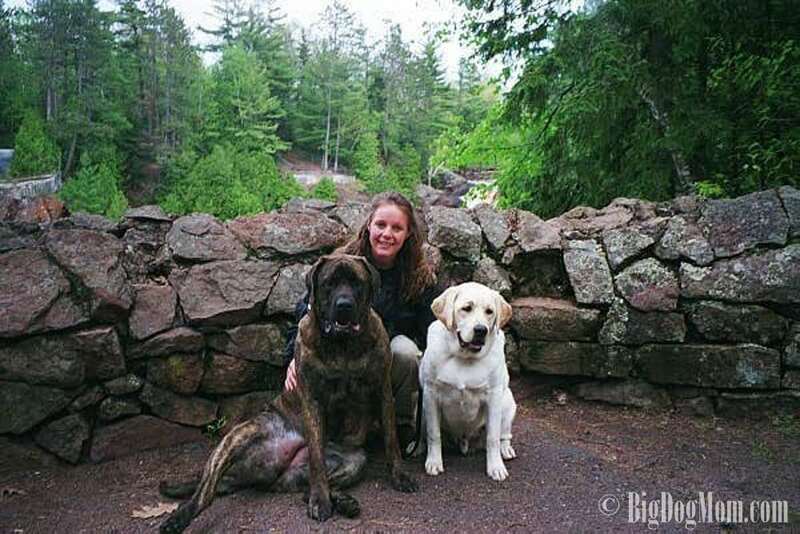 What would happen if, say, the Mastiff community or the Mastiff Club of America (MCOA) added a new line item on our Code of Ethics which stipulated that breeding stock must receive an obedience, nose work or trick dog title prior to being bred? In spite of the outcries of unfairness, would this new requirement not be indirectly selecting for dogs who are more food motivated? Simply put, the reason Labrador retrievers are not picky eaters is because the picky ones are generally left out of the breeding pool. Positively trained dogs are most often rewarded with food. Training dogs that are not food motivated is significantly more challenging. Using the same premise, big dog breeders should consider factoring in train-ability and food motivation into their breeding decisions. While holding breeding stock to this higher standard may not, in the end, change the eating habits in some breeds, it will over time select for greater numbers of big dogs temperamentally fit for service and assistance roles and any number of dog sports. If you have ever found yourself on the enabling end of a picky eater, know that you are not alone. There is hope! Because improving breeding selection standards is a long term solution, here are 5 tips that you can implement today for an immediate improvement in your big dog’s appetite. Because a raw diet is the most species appropriate, many notoriously picky dogs will devour raw food. With more cost effective sourcing options for big dog owners, this should definitely be on your list of options if you are struggling with a picky eater. Raw Food: A Decision Every Big Dog Owner Should Weigh. I am not advocating starving your dog. But an otherwise healthy dog will eventually eat. Use that fact to your advantage to get your head out of the refrigerator and the cheese popcorn back in the hands of the humans who want it. Maya went a day and a half before she, for the first time in a year, ate a full bowl of goodie-free kibble. Junior and Sulley love Primal Raw. I don’t use much, just a couple nuggets for each dog crumbled over their food and mixed with a little water. They are nutritious and delicious. Other healthy, natural additions you can try are bone broth, kefir, or any number of raw ground options from Raw Paws Pet Food or Darwin’s Pet. 4. Get Your Dog Moving! If you know someone who is fighting with a finicky canine, let them know that there is hope. Share with them this research. And more importantly, ensure they share it with their dog’s breeder. After all, we can all learn from the talented Labrador retriever and from the breeders who have so masterfully bred this gluttonous food machine. What a fascinating poll you conducted! It’s especially interesting to see the correlation between assistance dogs & dogs like Labs who are voracious eaters. My Husky is fairly picky, but my little mutt is a total scavenger! I often bribe my Husky with tempting morsals but I’ve come to realize she just wants to skip a meal now & then. As you suggested though, if we exercise her more I find her appetite picks up. Interesting post, thanks! Thank you so much, Cathy! I agree! My daughter spent two weeks at a camp where they train assistance dogs and what we both learned through her experience there is that this breeding selection for food motivation is absolutely true!! I’m with you. If my dogs want to skip a meal here and there, I let them. I just pick up the food and save it for the next meal. I found this all very interesting. We had a black lab growing up. I think information is power and thank you for the post! Thank you, Kristen! I’m so glad you enjoyed it! Very interesting! Thank you for sharing these results. My mother has a Goldendoodle who is SO picky, so I’ll share this with her. She is definitely in the PEE club! Ha! We switched to raw because Mr. N is a picky eater. We did try using tough love on him initially but it didn’t work. He continued his hunger strike and lost almost two pounds (which is a huge percentage of his weight!). Wow! I can’t imagine Mr. N two pounds lighter. That must have been scary! While it doesn’t change the overall premise of the article, I do think raw would have also worked with Maya. I’m so happy you found something for Mr. N that he enjoys and eats. I remember reading this study when it first came out. So interesting! I’ve always told my husband to rush our dog to the vet if he doesn’t eat, because that means something is seriously wrong. He is an English Bulldog/Pug mix, but he will eat anything anywhere at any given moment. On the other hand, I work with GSDs at my day job, and they are finicky eaters for the most part. I often have to wait them out, and they usually eat again on day 2 or 3. It is a stressful, annoying thing to deal with though. Thank you, Alix! Yes, it sounds like you have seen both sides of this issue as well. I love that you included quotes from the lab pet parents! Too funny! 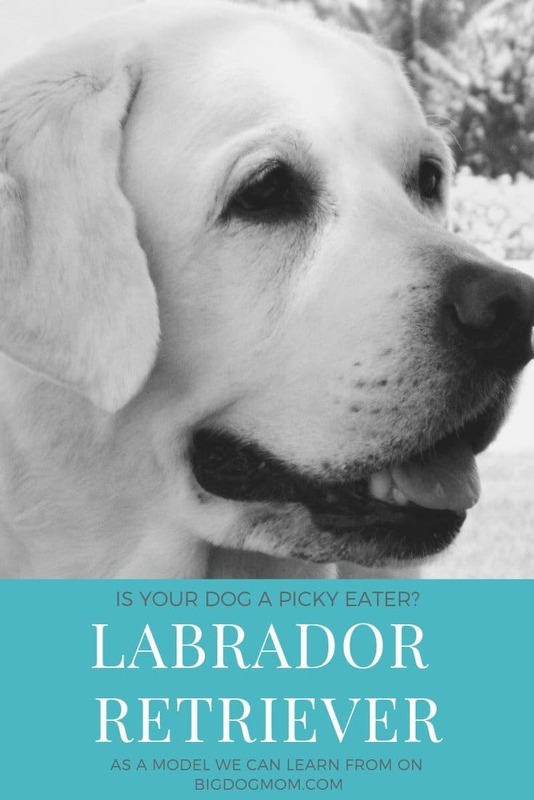 And such a great way to highlight the difference in eating habits of labs and big dog breeds. Thanks for sharing such an informative post! Fascinating! I had no idea love of food was an actual trait, and having never had a Lab I wasn’t aware they had the highest level of obesity. Although now that I read the findings there are some chunky labs in my neighbourhood. They don’t seem to get enough exercise which doesn’t help. Red, my Chihuahua/Min Pin must have some Lab in there somewhere because she was like a vacuum cleaner when it came to food, sadly her illnesses have changed all that. On the other hand Jack is quite a picky eater. He has no problem skipping meals and he’s fine. His delicious food he’ll leave, but someone drops a crumb of bread on the floor he’s all over it! Too funny, Hindy! Dogs can be such individuals when it comes to food. We have a twenty pound mutt and oh my god, he is super picky about his food! We have narrowed down on a semi raw brand that he loves so it’s not that bad. Thank you! That’s wonderful you’ve found something he likes. The fact that it is raw is an added plus!! Wow, a lot of terrific information. I have heard a lot about Labs and their eating habits. Are they not also known for small bowel obstructions for eating things like the Jon Deer Hat? My friend Jackie Bouchard wrote a book called, “What the Dog Ate” I think you would enjoy. I also believe your tips for picky eaters are PAWfect! Thank you, Denise! Yes, I would not be surprised if Labs topped the list of dogs with the highest incidence of bowel obstructions. Up until about age two, Labs are notorious for being destructive at times and for getting into things they shouldn’t. I will check out Jackie’s book. Thank you for the recommendation. Sounds good! Very interesting! I have to lab mixes (or at least that’s what the rescues said). One is a picky eater and the other is voracious. He will steal food and become aggressive if given the chance. We’re not sure if it’s because he was the runt of the litter but this was a very interesting survey. Thank you, Heather! Out of so many responses to my Facebook survey, I only had one or two that said their Lab was a picky eater. You know, I suppose it could be that he was the runt in the litter. Perhaps if he always had to fight for his food as a baby or never got enough food at a feeding. I wonder if it could also be something between the two dogs – the way they communicate, one being more dominant, or something like that. Difficult to say. When Sulley was an only dog he was picky at times, even with a raw diet. Now that we have Junior, he scarfs his food down and has gained probably 20 lbs. I didn’t do anything different…I’m convinced it’s something between the two dogs. Just a thought. Thank you, Ma! Great to hear. A very interesting read! I never realized that a dog’s breed might affect his eating habits. It’s funny, many cat owners seem to have cats who are extremely picky eaters, but all 7 of my cats are little piggies and will eat anything I put in front of them. They’re all rescues, so they aren’t any particular breed or anything. I’ve always thought it might have to do with the fact that I don’t let my cats free-feed – I feed them 3 small meals per day (breakfast, lunch, and dinner). It’s definitely an interesting topic to look into – the eating habits of pets, and why some of them are so picky! Wow! Bernie is my first dog, and while he likes some foods more than others, he’s generally a good eater. I found this post really informative. Thank you for sharing all of your data, the results of the May 2016 study, and your experiences. Pinning! Thank you, Irene! I really appreciate that! What a truly fascinating poll – we loved it and will use it as a resource as we share with our readers! I love that you have some raw (Primal) included – very good to include raw as it’s so nutritious and so species appropriate! Thank you, Rebecca! I agree about raw. This post was pre-raw for me, but I have a feeling had I tried raw with Maya it might have solved some of her issues. I didn’t know about the gene deletion research. That’s crazy! Our lab mix is food CRAZYYY!! Great tips for picky eaters too. Ours are raw fed and are super excited at mealtime, even our previously picky eater Boomer. What an interesting poll! I never thought about dogs being picky eaters because all of mine always ate. Cats are a different story. What they relish one day, they turn up their noses and walk away the next day. I’ve resorted to sprinkling the top of the canned food with freeze-dried treats to entice the girls to eat. Thank you! I’m sure with both cats and dogs, some are good eaters, some are picky. The interesting thing to me is the role genetics might be playing in all of it. This is pretty fascinating. Coming with a different type of baggage, though, I still have to wonder what else might be behind this. I mean, a Labrador who doesn’t wolf down any food that’s been put in front of them? For me, that has red flags all over it. The reason I’m saying that is that not just Jasmine, who was acting this way due to her IBD, but also other dogs I know off were picky eaters because of an underlying issue. I agree with you 100% Jana. I was really coming at this from the standpoint that on both sides we are talking about otherwise healthy dogs. But you’re right. If an owner has a dog that doesn’t want to eat, or picks at their food, they should be examined for underlying health issues first before assuming it’s a behavioral thing. I can tell you from my experience, I was dealing with two dogs who were both very healthy. One was just picky, the other not at all. I’m glad that you were able to get Maya off the cheese popcorn! Thank you, Beth! Yes, Mastiffs can definitely be picky eaters, but they aren’t as notoriously picky as some other large/giant breed dogs thankfully. Susan, that’s a great question. 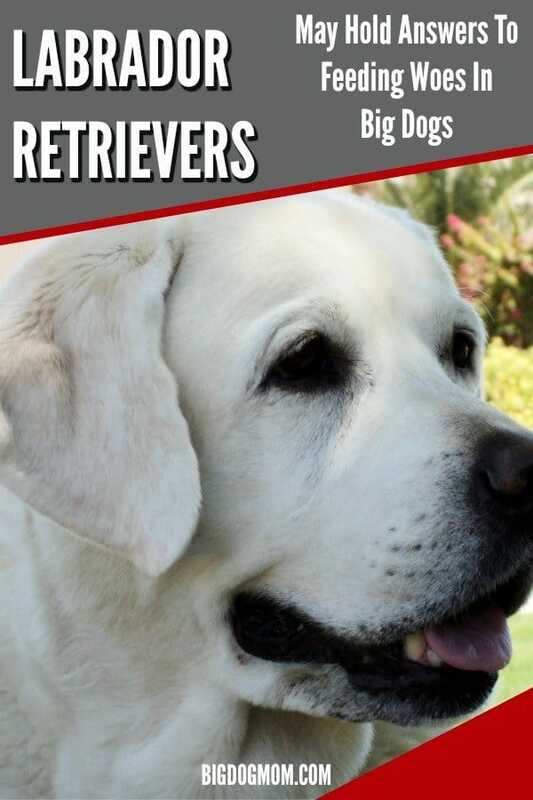 The issue that is unique to Labradors is that breeders (especially those breeding for assistance and service work) are selecting for dogs that are highly food motivated. But I wonder what the genetic makeup looks like for other breeds as well. This was a very interesting read, but I have to say that I can’t relate. We have a beagle and she will never pass up anything edible and would even give a few non-edible things a go. If she ever tried to skip a meal, I would definitely know something is wrong. We have the opposite problem I guess – where no pizza is safe! Interesting, I had no idea this was a problem with big breed dogs. I can vouch for the fact Labs are definitely “foodies.” Oftentimes, my pet care clients feed their dogs the same food day in and day out for weeks, months, years and wonder why their dog doesn’t seem to eat much. It’s often a case of boredom. We don’t eat the same food every meal every day, why should our dogs? I have trouble relating to dogs that don’t eat much. The Poodle Pair has yet to meet a food they don’t like! Fascinating! We have struggled with Bean’s eating (or lack of interest in eating) her whole life. This all changed when we moved her food to NomNomNow, which is a prepared, human grade meal. I honestly think she didn’t like the taste of what we offered before. She’s too smart to be food motivated, in that she sees right my ploy to get her to do something. She’s much more interested in getting praise and one-on-one time with her humans as a reward. Thank you, Bryn! There are definitely positives and negatives with a dog that isn’t food motivated. My dogs tend to be interested in treats for about 5 minutes when they decide they’ve had enough. Then I have to become much more animated with praise to get them motivated. I do think there’s something to be said for the food you are feeding. I’m so happy you found NomNomNow and that Bean is loving it! I’ve never dealt with a picky dog before, but I do have a picky cat… and it’s the strangest thing, because he has no problem with dry cat food, but anything you would think would be a treat for him, he won’t touch. Raw meat, canned fish, wet cat food, or actual cat treats… he ain’t having none of it. It makes me sad because I’d like to give him a treat sometimes, but he never wants it!